Creating an enabling political environment is important for any transport intervention. To achieve not only broad strategic transport objectives, but also those that are bicycle-specific in terms of mobility, decision makers, local authorities and other stakeholders need to align the political framework with the mobility landscape. This means understanding how bike sharing will fit and be integrated into the city’s wider mobility network – both physically, in terms of stations being located near public transit and schools; and operationally, in terms of service and payment integration with other modes of transport. Decision-makers also need to calculate the appropriate number of bikes in the system, and a process for rebalancing them amongst stations. Mexico City’s experience in launching ECOBICI in 2010 is an important example of the value of an in-depth review of enabling policies and assurance that the system would be designed to help meet the city’s goals. In 2007, the city’s Department of the Environment introduced the Plan Verde (Green Plan), an urgent call for improvements to air quality and mobility in the city. It required the creation of a bicycle mobility strategy, including opening 10 kilometers (6.2 miles) of streets to people on non-motorized vehicles every Sunday. Ensuring ECOBICI was embedded into the larger urban mobility and environmental plan was crucial to the success of the system. Today, it is the largest docked system in Latin America, boasting more than 480 docking stations and 6,800 bikes, including 340 electric bikes. 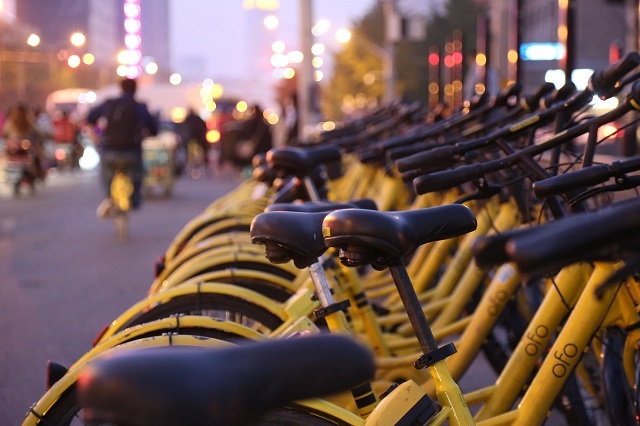 When Mexico City piloted privately operated dockless bike-sharing in March of 2018, officials made it clear that companies would need to comply with minimum requirements on matters such as fleet size, safety and data sharing. This includes applying for a permit and complying with a range of requirements, such as conducting a feasibility study, becoming certified as a Mexican company and committing to sharing data in real time, among others. The evidence is very well established in this area. Actions that improve road safety for people walking and cycling – such as lowering speeds, improving intersection design, and establishing protected lanes and crossing facilities – improve road safety for everyone, including people in cars. The safety benefits occur both in the short term, as streets become better organized and easier to navigate, and over the long term, as more mobility options and public transport access reduces private vehicle use and exposure to crash and injury. WRI’s new working paper empowers city officials to think about difficult questions and concerns they might be faced with as this new generation of bike sharing takes off. Thinking through these issues can ensure that decision-makers take advantage of the benefits micromobility systems may provide their residents.